I’ve always been proud to live here in Western Canada. From the Rocky Mountains to the Pacific Ocean, there is so much natural beauty here to explore. Growing up in a farming family and community, I admire the people who work the land. My grandfather’s dad homesteaded his farm in Alberta. While my dad was growing up, it was a dairy farm; today, my uncle grows grain on the same farm. Olympic is a west coast product I’m proud to grab at the grocery stores. As a dairy farmer’s granddaughter, I love milk. 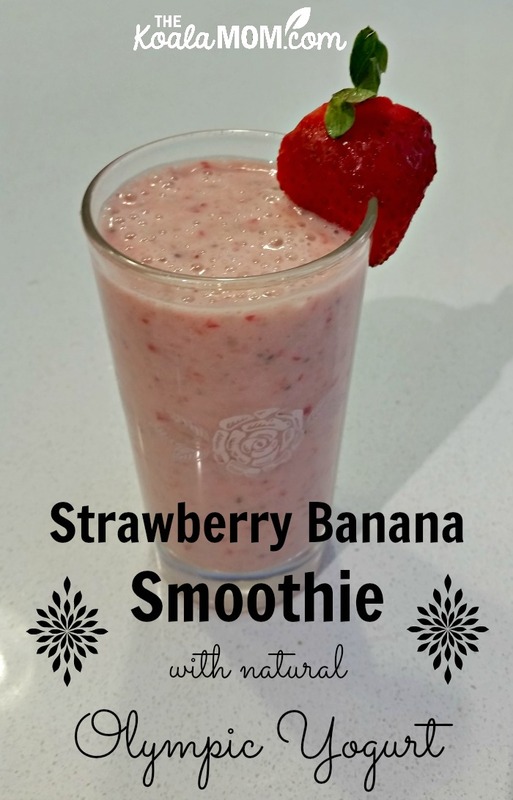 One of my favourite healthy go-to snacks, for both myself and my girls, is smoothies. It’s a great mid-afternoon pick-me-up when they’re getting a bit grumpy. I’ve taken to buying Olympic Yogurt by the tub to make sure we don’t run out before the next grocery trip. 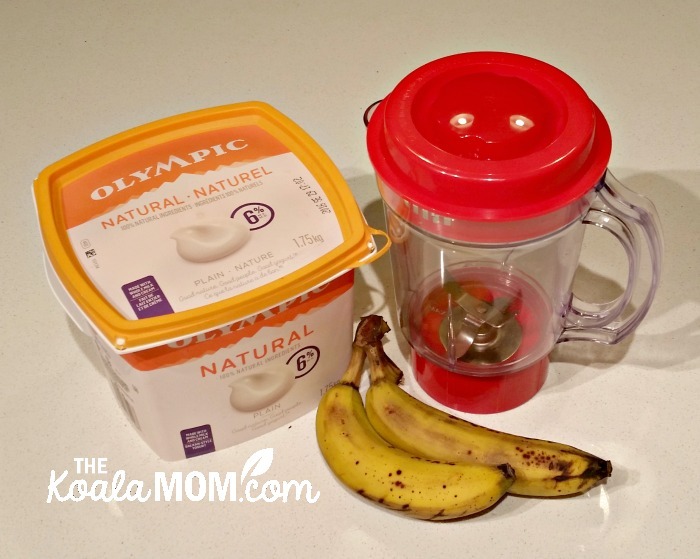 For smoothies, I tend to use Olympic Natural Yogurt. For me, its taste reminds me of the yogurt my mom made with fresh milk from the dairy down the road. We’d top chopped fruit and granola with her plain, natural yogurt. In smoothies, I use apple juice to balance the tang of the yogurt. Plus, I like the goodness of plain, simple, healthy ingredients. Add all ingredients to your blender. Blend until smooth. Pour and enjoy. The apple juice and banana give this smoothie a sweet taste. Add all ingredients to your blender. Blend until smooth. Pour and enjoy. The blackberries and extra yogurt give this smoothie a slightly tangier taste. If you have a child who wants to help in the kitchen, smoothies are something easy for them to make. Sunshine (age 8) can read a recipe and measure ingredients on her own. Jade (age 3) likes to pour the yogurt and apple juice into the blender after I’ve measured them for her. And of course they all like drinking their smoothies. I love smoothies because they are easy to customize for any taste and diet. Sneak in a few veggies, such as kale or spinach, for the child who doesn’t like veggies. Chia seeds are one of my favourite add-ins, but you can also add hemp seeds or ground flax seeds. You can also toss in other supplements, such as kombucha or flax seed oil. Check out Olympic’s new look and delicious products that are pure B.C. good. Living in Victoria, we often saw the Olympic Mountains across the ocean and I love the silhouette of them on the new packaging. Look for the bright new packaging in your favourite grocery store and visit this page for more awesome Olympic recipes. Although this post has been generously sponsored by Olympic, the opinions and language are my own.